In January 2012, the world lost Rudi van Dantzig – an acclaimed choreographer and writer. For twenty years, Dantzig served as Artistic Director of the Dutch National Ballet. Ted Brandsen, the current director of the institution, described Rudi as “inspiring, passionate, intense and true to himself ” . 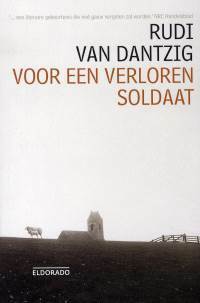 In 1986, Dantzig published an autobiographical novel titled Voor een Verloren Soldaat (For a Lost Soldier) in which he recalls his youthful affair with a Canadian soldier when the Netherlands was liberated at the end of WWII. The first person narrative of the rite of passage experiences of Jaroen, the young protagonist of the film, is one of the most powerful and sincere accounts of growing up ever written. It consequently won numerous awards – despite the highly controversial theme of the book. It was translated into English and adapted for the big screen in 1992 by the Dutch director Roeland Kerbosch. The film, undoubtedly of the Coming-of-Age genre (though the first person narrative is lost in the transfer to screen), had a nationwide American theatrical release and consequently was distributed on VHS, DVD and, most recently, via on-demand streaming on both Netflix and Amazon. The majority of the reviews, on the film’s IMDb page and on Amazon.com, are positive – as evidenced by the ratings on the sites: 4.3 out of 5 stars on Amazon, 7.6 out of 10 stars on IMDb (rating figures are as of 03.05.2012). One of the reasons for such high ratings may be read about in Stephen Holden’s review published in The New York Times. He writes: “One of the strengths of the film is its refusal to load the story with contemporary psychological and social baggage… the film assigns no blame and assesses no damages” . The powerful story by van Dantzig, an author who “…. felt acutely the intolerance of the times” and made it “… a major theme in his ballets and writings” . For a Lost Soldier became one of the most controversial Coming-of-Age films ever released. Twenty years after the date that the film was first screened, TheSkyKid.com contacted the film’s director, Roeland Kerbosch, for an exclusive interview. In the interview that follows, TheSkyKid’s questions will be represented by “SK” and Mr. Kerbosch’s answers will follow with the designation “RK“. SK: The movie For a Lost Soldier is based on the autobiographical novel with the same name, written by Rudi van Dantzig. He passed away few months ago. How well did you know him? RK: Although it was difficult to get to know the real Rudi van Dantzig, I think I knew him quite well. SK: Recently I talked with a friend, who mentioned that some years ago he had a conversation with Rudi van Dantzig in which he mentioned that he wanted to make a sequel to his story as it appears in For a Lost Soldier? Are you aware of that idea and if such a sequel were written would you have been interested in doing a sequel to the movie as well? RK: The idea for a sequel must have been a misunderstanding. Rudi wanted to write a novel on the same subject but from the point of view of the soldier. SK: When one sees the film for the very first time, the mis en scene in the small Frisian village where the action takes place makes quite an impression. One of the reasons for the popularity of the book in the Netherlands is the fact that many of the readers went through the experience of being sent away during the “hunger years“ of WWII. In fact, I read somewhere that you were also sent to Frisia as a kid. How has your personal experiences contributed to the adaptation from the book to the large screen? RK: The novel was successful in The Netherlands; the film was not. Only a very few readers could have had the same experience as Rudi and myself during the so-called hunger winter in 1944-1945. Mostly just kids from Amsterdam were sent to Friesland and, because of lack of transport, only a few could escape the lack of food in Amsterdam. Rudi and myself we were lucky. I fully adapted my own experiences in Rudi’s story. It became a mixture of his and my story. The relationship with Walt was Rudi’s sexual experience, not mine as I was only four at the time. The atmosphere of the film and the visual impression is my personal memory, added to the novel. SK : The talent of an actor, combined with the direction of the production, is what makes a character memorable to moviegoers. The role of Jaroen requires a great deal of talent from the young actor, mainly because of the wide range of emotions he is expected to portray on screen. Maarten Smit did a marvelous job, but because of his age and the controversial subject matter of the film our readers would be interested in the casting process for the role. What made Maaren Smit stand out from among the other candidates for the role and do you have any memories from your work with him while filming the movie? RK: Maarten Smit (Jeroen) indeed did a marvelous job. At the casting sessions, he was self confident and intelligent, not at all behaving as a kid actor who wants to do this role; that’s why I choose him. I could easily communicate with him. He read the novel, didn’t think much of it. He understood it very well though, the implications of the story, and what his performance should look like. And that’s what he did: a professional. 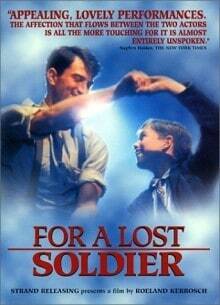 When For A Lost Soldier had its successful release in the USA, he was approached through me by Disney Studios. He turned down the invitation to come to Los Angeles for an audition. That was typical Maarten Smit: the job was done, get on to something else; not acting. 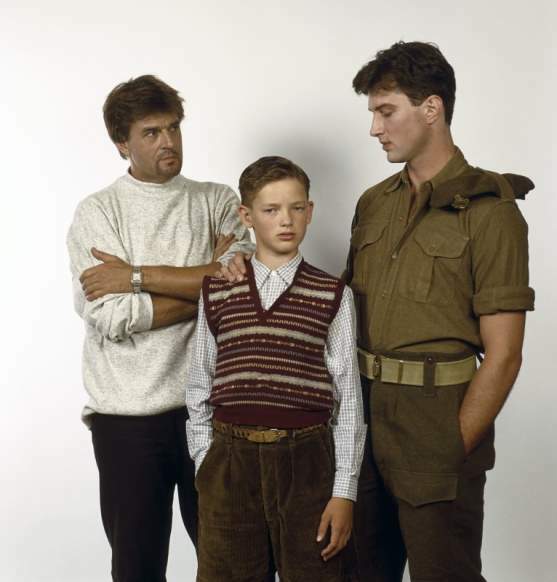 SK: Having mentioned Maarten Smit, we must also ask you about the casting of the other protagonist of the film, Andrew Kelley, in the role of the young Canadian soldier Walt. Was he really a dancer at the Royal Dutch Ballet and did this play any role in the casting process? RK: I knew Andrew Kelley as a dancer at HNB (Dutch National Ballet). It was his features, his introverted character and, moreover, his vulnerability that convinced me. As a dancer, he had tremendous discipline and, of course, some acting experience. He was extremely insecure during the difficult scenes with Jeroen. But Jeroen helped him quite a lot on the set to get through it. SK: Are there certain things you think that you could have done differently if you made the movie today? RK: If I would do this movie again, I would ask for much more money for the dancing scenes. The way these scenes were written originally in the screenplay would have given a lot more production value to the film. SK: For a Lost Soldier is a film with sensitive subject matter and, even to this day, many people consider it one of the most controversial films ever released. Yet the sensual way in which the story is portrayed has resulted in many people liking the film, as evidenced from its high ratings on IMDB, Amazon.com…etc. By now, one can safely say that the film has become a classic as people recognize the value of the story and learn to reach their own conclusions to the many questions that the movie raises. That’s nowadays – but what was the public reaction like when the film first came out? How was your film received in other countries? Was the film ever banned or not respected in some parts of the world? RK: The response to the film in Holland was, for me, disappointingly low. The outspoken Dutch homosexual scene expected and wanted “raw meat”. For A Lost Soldier is a romantic love story, a homosexual love story that could have been a heterosexual love story as well. The homosexual part of it is less important than the love story as such. The film won the Public Award and the Jury Award at the Torino Film Festival, was internationally successfully released especially in the USA where the film figured in the Variety Top Twenty for several weeks. The film was released theatrically all over the world without any restrictions. Only TV release was impossible, but who cares? Video and DVD took over in time. SK: Having read the biography of Rudi van Dantzig at the web site of the Dutch National Ballet made me wonder if the dancing scene in which Jaroen dances with Walt was your way to pay tribute to the successes of the author as a dancer and choreographer? RK: Rudi van Dantzig himself made no secret of the fact that he was never a very good dancer. As choreographer and director of HNB (Dutch National Ballet), he inspired many dancers, composers, painters, and filmmakers like myself. His influence went much further than ballet. My personal tribute to Rudi was the movie For A Lost Soldier. SK: Let’s finish the interview with a question I always ask filmmakers. As theSkyKid.com mainly focuses on Coming-of-Age films, it would be interesting to know if you have a favorite Coming-of-Age film that you could recommend to the people reading this interview. RK: While not really a true Coming- of- Age film in the strictest sense, I’d recommend the French film Etre et Avoir . It is “between the lines”. I would like to dedicate this interview to the memory of Rudi van Dantzig. Thank you for the great interview. Roeland Kerbosch is one of my favourite directors. I am doing a film project at my college, and I’d like to film my short movie in Friesland, specifically Laaxum and the surrounding areas like Warns and Stavoren (where For A Lost Soldier was shot). The locations in the movie are scenic and inspiring, and I scouted the area last week. I would like to know more about some of the buildings in the movie, and I guess the best person to ask would be Roeland. Is there any way for me to contact him, preferably via email? I can’t find his details online. He sounds like a really interesting guy that has clearly been influenced by a very special person. I will have to check out ‘To Be and to Have’ as well. Sounds really interesting. Thanks again for a great interview SkyKid.